Mission: Sanskriti’s international residencies are its global signature. Since 1993 it has hosted over 600 artists, poets, scholars, and writers as well as some 300 crafts persons and cultural activists (from across the world as well as South Asia) to the Sanskriti Kendra, the Foundation’s sylvan five-acre campus located on the outskirts of New Delhi. To all these creative people, the Kendra has offered a uniquely serene and enabling environment in which to work, reflect and interact with each other, as well as their local peers. It is an internationally recognized programme of individual residencies, offered in cooperation with bodies such as UNESCO, Australia’s Asia-Link and the Fulbright Fellowships Programme, and has been particularly appealing to visual artists wishing to broaden their own practice through collaborative engagement with Indian craftspeople. Through its extensive local network, Sanskriti has proactively facilitated rich interactions between visiting artists, their Indian counter parts as well as the local artisans. 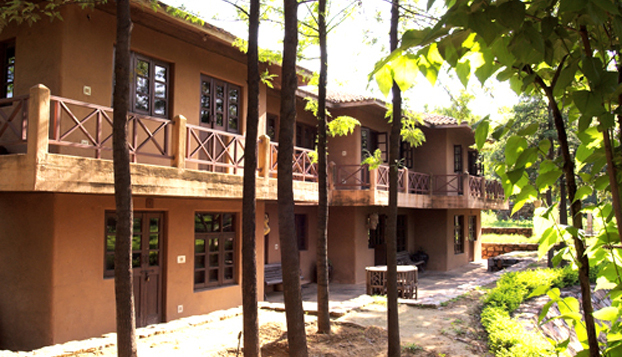 Self-Proposed group creative residencies: This residency model offers the Kendra’s unique facilities (see details below) to international groups that have designed a programme of their own requiring immersion in Indian culture and the supportive environment of the kind the campus and its staff provide. For example the Chicago School of Art/ Wyoming School. Collaborative group creative residencies: These residencies will bring together groups of visual artists or arts students, who will interact at the Kendra with Indian crafts persons/artisans in different disciplines(listed below) as appropriate. Workshops specially designed for this purpose by Sanskriti’s team, together with the overseas organizers,will enable the visiting group to learn about particular local crafts skills, exchange knowledge and know how with the local practitioners and produce new work in the collaborative mode. The Helpmann Academy in Adelaide, for example, organizes residencies for groups of emerging Australian artists who visit the Kendra for six-week periods to interact with Indian artists and artisans. Academic learning residencies: In 2014, Sanskriti will inaugurate a new model of learning residencies for groups of arts scholars, museum curators and docents, students, etc.which will pertain to Indian art history, collecting and curating of Indian art. The learning residencies will be based on a concentrated programme of lectures and workshops by eminent local scholars, curators and art critics.These academic modules will be designed and coordinated by the eminent curator and scholar Dr. Jyotindra Jain and other local experts.They will also include site visits and multiple interactions with the local arts environment. Tariff includes Lodging facilities, meals and studio space only. All other costs will have to be borne by the applicant. Kindly note that Sanskriti will not reimburse any travel expenses including those incurred on local travel. Residents must pay for their own medical bills. Residents will be responsible for obtaining their own health / medical, accident or other insurance that may be necessary. 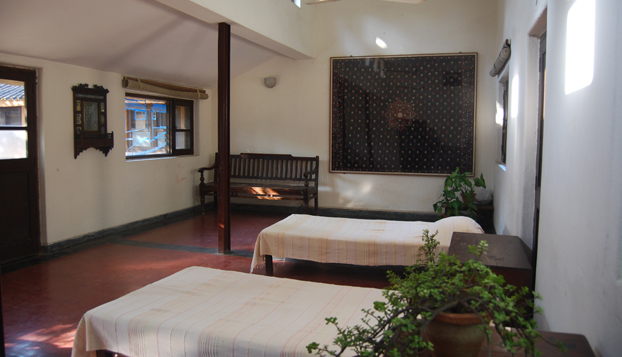 Accommodations: During your stay at Sanskriti you will be housed in the studio buildings, giving you full access to your workshop and studio space at all times, catering for whatever work regime you set for yourself. There are four ground floor general studios. All open into a courtyard. The dormitories have a boarding capacity of 4 to 5 adults. All studios are equipped with worktables, work counters, easels, storage space and kitchenettes. All studios have attached bathrooms with clean linen and towels. Laundry services are available against payment. Dry cleaning can be arranged if requested. The tariff for accommodation includes the rental, meals and use ofall facilities, including free participation in all the many cultural, artistic events and activities that take place at the Kendra. All eight studios are double-storied apartments. A staircase leads up from the studio to the mezzanine to a comfortable bedroom and bathroom. All studios open into a courtyard. These are available for individual artist residents. Residents are provided three meals per day as well as tea/coffee twice a day. Sanskriti provides an excellent range of simple, nutritious Indian vegetarian meals. If informed in advance, efforts will be made to accommodate special dietary requests. Benefits: Sanskriti Museums: Three thematic museums are located within the Sanskriti cultural complex: the Museum of Indian Terracotta, the Museum of Everyday Art and the Museum of Indian Textiles.The collections of these museums are representative of India’s diverse tangible heritage. Each offers resident artists an unparalleled visual resource. 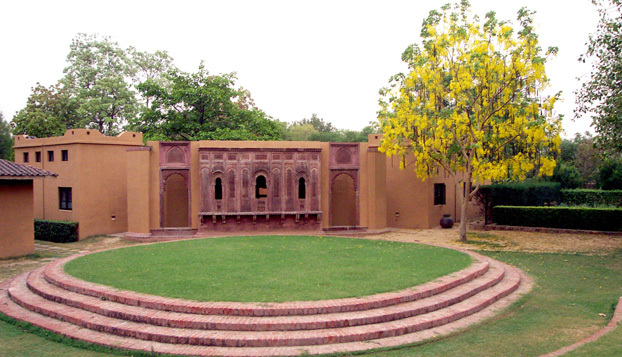 Besides the three museums, Sanskriti maintains linkages with other museums, located in Delhi. We could provide liaison for the artists in residence. 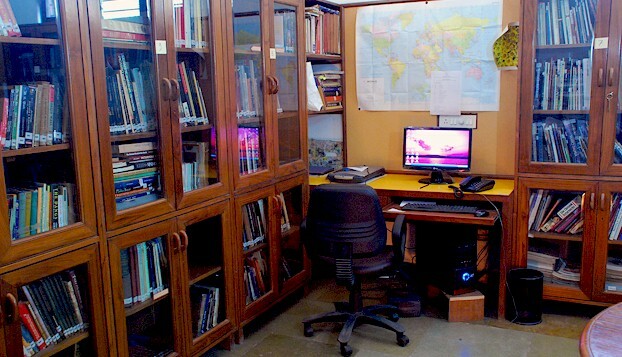 Library / Research Centre: Sanskriti Kendra has a highly specialized reference library housing around 2000 books on art, culture, museums, Indian traditions of textiles, handicrafts and Indian terracottas, etc. Visitors, researchers, artists and students are welcome to use the material. Ceramics Centre: Since 2005, the campus has housed a state-of-the-art ceramics production centre, equipped and managed in cooperation with the esteemed Delhi Blue Pottery Trust. Enamel Centre: Sanskriti has recently created a well-equipped enamel production centre in cooperation with the Enamellist Society of India that offers short training courses on enamelling techniques. 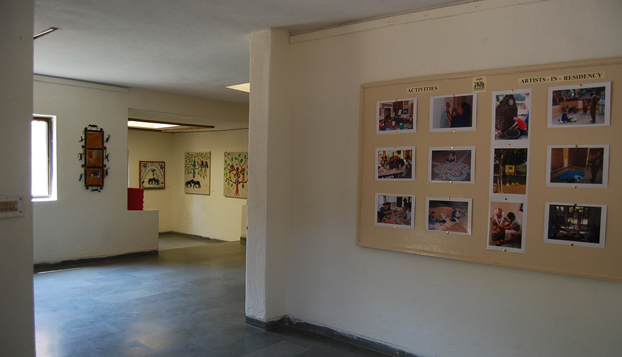 Site-specific Installation spaces: Sanskriti Kendra provides open air space for site-specific works of art and installations. Art Materials: Sanskriti is able to identify and procure a wide range of traditional materials, e.g. mineral pigments, natural dyes, textiles, gold and silver leaf, shellac, handmade paper and clays. Popular culture: Since the 19th century when mass reproduction or production of printing technology emerged in India, there has been an explosion of the visual image. Today the visual image is mass-produced and mass-consumed through unique banners and posters, photography and calendars, product labels, TV and various forms of street culture. These images have entered the world of contemporary art practice already through avant-garde and post-modernist art practices. Collaborative work with traditional craftspersons: Sanskriti maintains regular links with traditional craftspersons and textile weavers, dyers, printers, etc., as well as crafts workshops all over India. Resident artists can draw freely on such links in pursuing their own individual or group activities. This could be done either by visiting craft-related places anywhere in India through Sanskriti’s network or by inviting traditional crafts practitioners to Sanskriti Kendra itself. Network of local arts and culture expertise: The local friends of Sanskriti include many eminent as well as emerging scholars, thinkers, curators, artists and craftspeople. The Kendra offers regular talks on key aspects of Indian art and culture to participants in all three types of residencies. Facilitating Indigenous Crafts Collaboration: If any visiting artist desires to do collaborative work in his/her field, Sanskriti will be happy to establish/facilitate visits to such crafts centres to different parts of India. Open Houses and other forums: Artists can present their work in public forums, interact in seminars, or conduct workshops with underprivileged children. They can also share their own practice and techniques with students at local art schools. Applications should be made 4 to 5 months in advance of the proposed dates of residency. In case of availability of a studio space, we are happy to make an exception. Posted in India, Sanskriti Foundation, UncategorizedTagged academic learning residency, activist, activists, art gallery, art residency, Artist, Artist Residency, artists, Australia Asia-Link, ceramics, Collaborative, collaborative group, craft, crafts, creative, Delhi, dyers, enabling, enamel, Fulbright Fellowships Program, groups, India, Indian craftspeople, Installation, interact, International, Library, local art, local artisans, local network, local peers, meals, meals provided, New Delhi, no application fee, poet, poets, printers, reflect, residency, Sanskriti, Sanskriti Foundation, Sanskriti Kendra, Sanskriti Museum, Scholar, scholars, serene, South Asia, Studio, textile, the Museum of Everyday Art, the Museum of Indian Terracotta, the Museum of Indian Textiles, UNESCO, vegetarian, visual artists, weavers, workshop, workshops, writer, WritersBookmark the permalink.